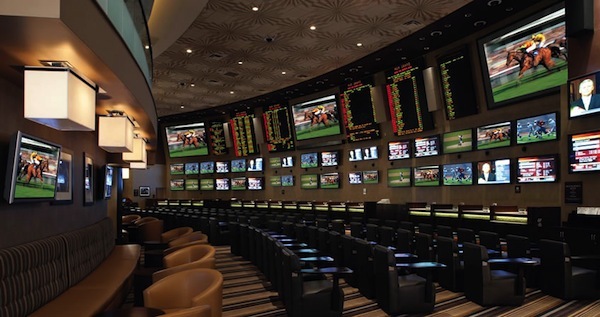 Casinos in Vegas have sportsbooks because they make money. Sportsbooks did great business in the first week of the NFL season. Underdogs were 10-3 against the spread (!) and 7-6 straight up in the first week of the NFL season. Underdogs winning almost always favors the casino. 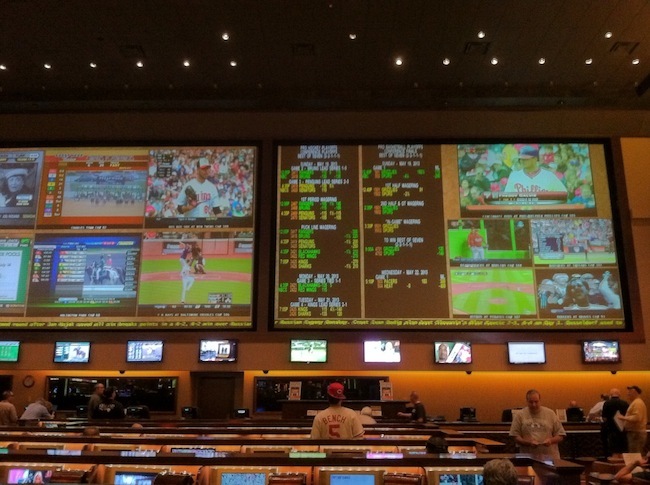 While there are more educated sports bettors they still make up the minority of sports bettors. Note, it’s never a good day for parlay bettors. Casinos win over 35% of parlay wagers. Wins by the Miami Dolphins (33-20 vs. the New England Patriots), the Atlanta Falcons (37-34 in overtime vs. the New Orleans Saints) and Buffalo Bills (23-20 in OT at the Chicago Bears) as dogs set the tone for a great day, according to Jay Kornegay, the (Westgate) SuperBook’s Vice President of Race & Sports Operations. 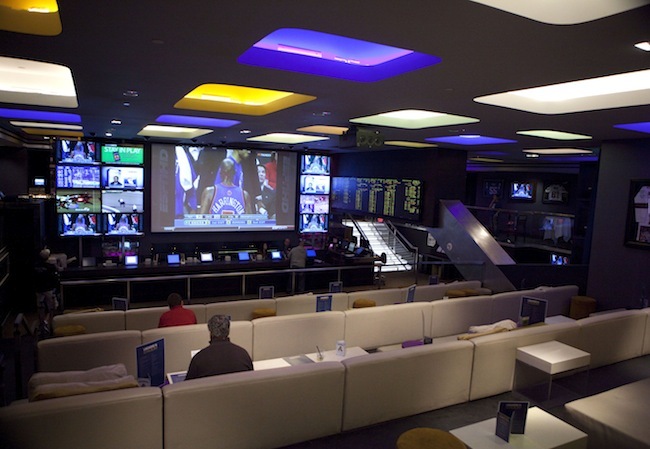 This sounds like a big win for the sportsbook operators but it could have been bigger. The Jacksonville Jaguars jumped out to a 17 point lead against the Philadelphia Eagles, who were favored by 10 or 10.5 only to lose by 17. Thankfully I teased this game to 17.5. The first week of the NFL season was fun to watch and fun to bet. 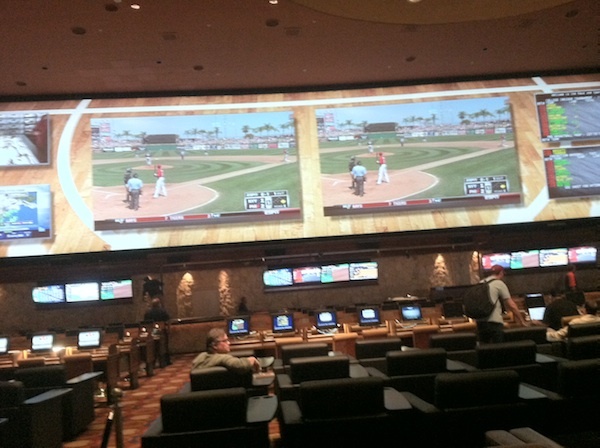 There was too much early game action for me to consider heading out to a sportsbook to watch. I had a single wager on the Tennessee Titans, a 7 team tease and my first two daily fantasy football games (more on this later) to track. I couldn’t handle tracking this much action in a public setting. Johnny Football is living the dream. Fresh out of college the 1st round NFL draft pick by the Cleveland Browns is visiting anywhere that will offer him a good time. Johnny Football’s destination on July 4th weekend was Las Vegas. HOLLA. You might remember that Johnny Manziel visited Las Vegas when he turned 21. John Football stayed at a suite at the Hard Rock (where he may have played 6:5 blackjack again), dined at STK at the Cosmopolitan and partied at XS at Wynn according to Norm Clarke. There’s nothing wrong with any of that. The only questionable thing he did was get caught on camera in a public men’s room somewhere rolling a dollar bill. 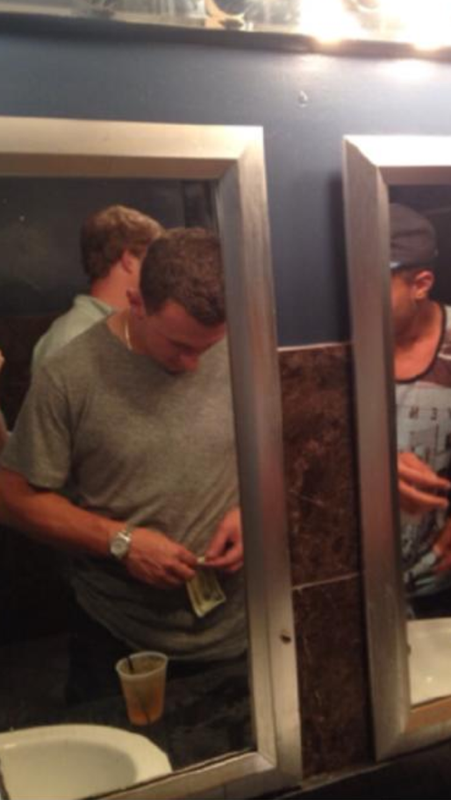 There are a lot of things Johnny Football could have been doing with a rolled dollar bill and none of them should be for public consumption. As a public figure and possible NFL starting quarterback you’d think Johnny Manziel would be smarter than be caught in public doing questionable activity. We all do (or did) questionable things in Las Vegas when we were 21. Johnny Football, you do you. Viva Las Vegas! ESPN on-air talent is mostly made up of former players disguised as analysts and communications majors as the play-by-play or “straight guy”. To be fair most sports on television is set up like this. Players are trusted by the general public to offer an educated opinion based on their experience. That’s a fallacy. The Linemakers shed light on this after analyzing ESPN’s analysis of the NFL schedule earlier this week. ESPN asked each of the 32 team experts for their predictions of the regular-season records for the teams they cover. ESPN admits the predictions were made independently of other experts, and that’s great, because we want to see what each of these “experts” honestly and independently think without consulting with their cohorts around the league. Still …. with 32 teams playing 16 games, there are a total of 256 games. Thus, there are 256 winners and 256 losers (ties aside). So when these reporters predicted the regular-season records, we should see exactly 256 winners and 256 losers. But of course, that isn’t what happened. For comparison, over the last three years, an average of 14 teams per year finished sub-.500. Furthermore, projecting 290 wins equates to 9.1 wins per team. Essentially, on average, these “experts” project the average team will be BETTER than 9-7! Again, ludicrous and impossible. I’m not going to bash ESPN because they’re an entertainment network more than a place for analysis. In fact, most of what you see on TV is for mainstream entertainment. It’s a shame that we need to police what’s on TV but it’s great that people like Warren Sharp can analyze this information and share the truth. Without getting too preachy, it’s important to be aware of what the mainstream media passes of as fact if you bet on sports – especially football. Football is the most popular sport on TV and most popular sport to bet on. The general betting public listens to these talking heads and bets based on this information. While some of the information shared by the talking heads on TV may be true it’s not all true and it’s not all based on fact. Knowing when false information is being shared on TV is helpful. Use that information to your advantage when betting. There’s a place for mainstream information and a place for analytical information. When combined you have a powerful combination. You can see that by the podcasts I listen to. Texas A&M quarterback Johnny Manziel turned 21 on Friday and like any famous person he went to Las Vegas to celebrate. Can’t argue with that! He hung out at the Hard Rock like many bro’s visiting Vegas. You may remember that Johnny Football is no stranger to casinos. 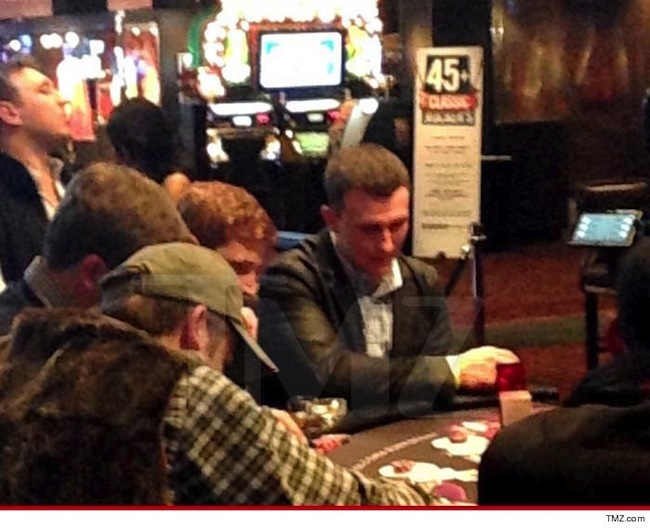 Now that he’s of age, Johnny Football bro’d down with a little blackjack. Even though he may be the son of a rich man he wasn’t showing it. He was playing $10 blackjack like a normal college bro. All blackjack at Hard Rock pays 6:5. Not the best choice. Johnny Football (and the honey badger) don’t care about payouts. Johnny Football is already a spoiled rich kid and will become a his own rich man when he enters the NFL draft next year. Maybe he’ll step his game up to compete with Charles Barkley levels of gambling when he has his own money. 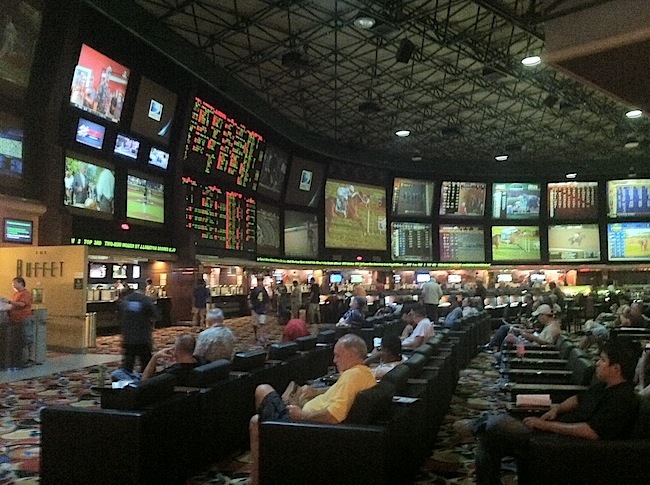 Update: A source says that John Football did not step into the sportsbook all weekend. 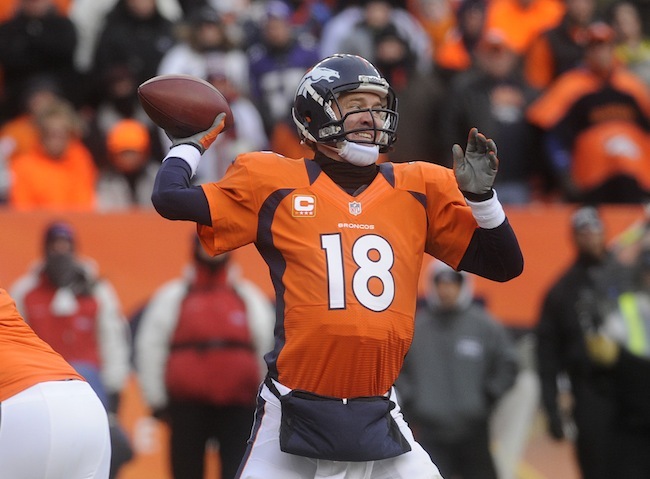 The NFL season starts in about 9 hours with the Baltimore Ravens playing the Denver Broncos. To say I’m stoked is an understatement. I was so ready to get ready for the season that I wrote about 9 great resources for betting football a few weeks ago on Vegas Chatter. Do what I say not what I do. As much as I wanted to prepare for the season I haven’t studied a lick about the NFL. I’m going in fairly blind and I hate that. I’ll just ease into the season with some (very) light action. While making the rounds on twitter the other day I found an article on Grantland detailing how the smart guys in Las Vegas value NFL players. This is information that you won’t typically find in the mainstream media. I look at this point value list as something similar to a gamblers individual football game version of WAR in baseball. The complete list is much longer for each group in the Grantland article. Knowing the approximate value of players to other gamblers allows you to adjust to any spread if/when one of these guys gets hurt. You may or may not agree with the numbers but it’s a good baseline to work from. This article is written by RJ Bell from Pregame.com who recently started writing for Grantland. 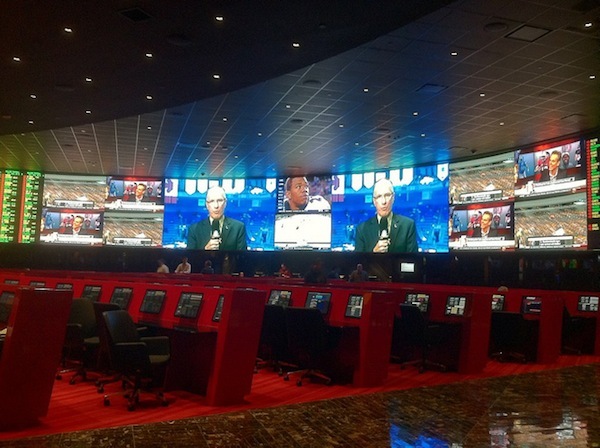 RJ knows a lot of sports bettors in Las Vegas and has a lot of betting specific information to share. RJ’s column seems like it will have some useful information if you’re looking for another resource to prepare for the NFL week. If you don’t need another 5 minute read follow @RJinVegas.